Get ready to lounge at Caneel Bay Resort in the USVI. Originally appeared in the February/March 2016 issue of Virtuoso Traveler. What could be better than a remote island for delicious disconnection? Cue an entire necklace of isles, to beachcomb, snorkel, bike, loaf around, swim, hike, and otherwise discover at your leisure. Of the myriad sun-splashed archipelagos around the world, we offer five favorite havens for recharge, release, and relaxation, each with its own personality and vibe. No matter which you pick, you can’t go wrong – archipelagos offer an island for everyone. Island dreaming with a French twist. 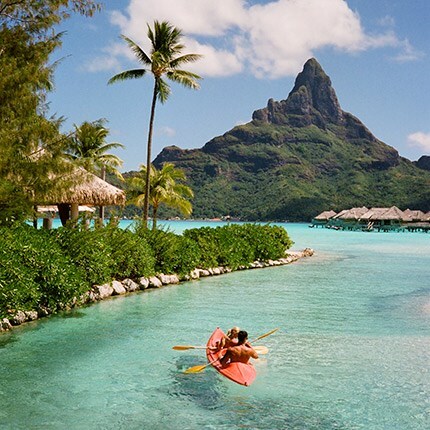 Synonymous with overwater bungalows, blue lagoons, black pearls, and happy honeymooners, French Polynesia is the height of far-flung fantasy. Sculpted by verdant mountains and lined with fragrant, fruit-laden trees, some 118 islands and atolls span five archipelagos, a sprawling overseas collective of France in the South Pacific. Families can safely snorkel coral-fringed shallows teeming with colorful reef fish, then hike the islands’ lush interiors to hidden waterfalls and pools for a refreshing plunge. More active adventurers opt to scale Mont Orohena, the tallest summit crowning Tahiti, French Polynesia’s largest island and home to much of its population. Kensington Tours’ private seven-day adventure lets you swim with manta rays, sip Champagne while practicing your conversational French at world-famous Bloody Mary’s restaurant, sail crystalline lagoons by catamaran, and sleep in overwater suites while travel-ing among Tahiti, Moorea, and Bora-Bora. Easy-breezy beach escape flavored with reggae and rum. U.S. residents in need of a quick Caribbean fix can leave the passport behind and head directly to this enclave of the Leeward Islands in the Lesser Antilles. Located some 40 miles east of Puerto Rico, the USVI comprises Saint John, Saint Croix, and Saint Thomas, along with surrounding minor isles. Reggae beats, rum-laced cocktails, and spiced meats are the flavor any day of the year, which sees temperatures averaging in the mid to high 80s. Beyond the African-Caribbean vibe, visitors can absorb the islands’ Danish history at sights such as Annaberg sugar plantation in Virgin Islands National Park, which covers about 60 percent of Saint John. Days at Saint John’s 166-room eco-friendly Caneel Bay Resort in Virgin Islands National Park are spent snorkeling amid coral reefs, catching crosswinds in the resort’s 50-foot sloop, or simply unplugging on one of its seven beaches. 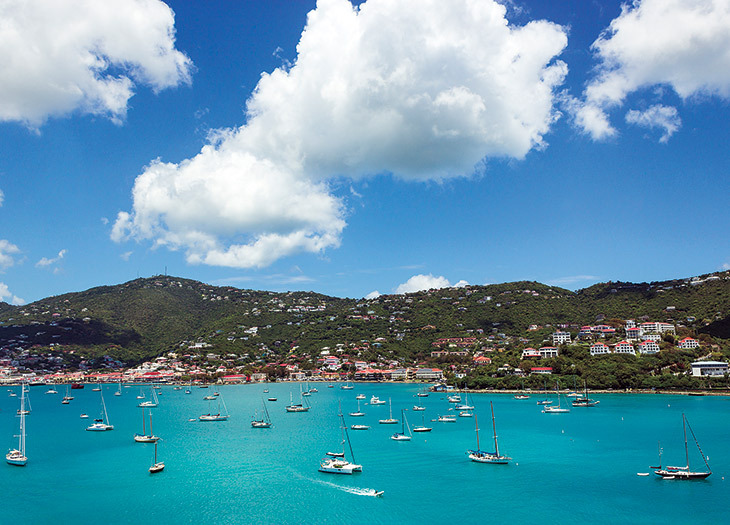 A 20-minute ferry ride leads to Saint Thomas, where the 180-room Ritz-Carlton, St. Thomas features four oceanfront dining venues and the Jean-Michel Cousteau Ambassadors of the Environment program for children and adults. The ur-archipelago, rich in history and myth. These are the original islands: Not only did the word “archipelago” once denote the Aegean Sea itself, but its waters are so startlingly blue, they have a paint color named after them. Straddling centuries as well as countries, this region of more than 2,000 islands between Greece and Turkey is the birthplace of Western civilization, as shown by its numerous UNESCO World Heritage sites (medieval city of Rhodes, Corfu’s old town, the entire island of Delos). 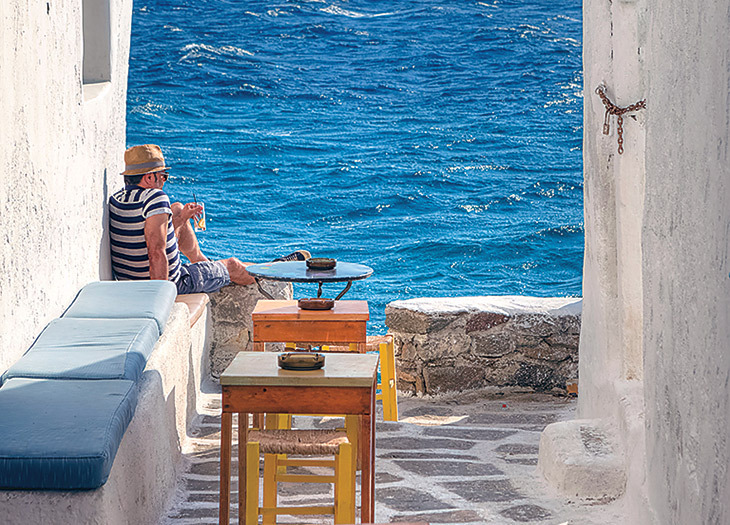 And while the archipelago’s past is ever present, the views of its quintessentially Aegean Blue sea from the whitewashed buildings and cobblestoned alleys of celebrated Santorini, Rhodes, and Mykonos never get old. Tour legendary cities and seafaring towns during a 14-day Aegean voyage with Seabourn. Sailing round-trip from Athens, the 450-passenger Seabourn Odyssey also calls in ancient ports such as Kusadasi (for Ephesus), Istanbul, Rhodes, and Mykonos. An on-board casino, spa, shopping, and full-service salon cater to downtime between landings. Aloha spirit in the Paradise of the Pacific. We’re familiar with the seven inhabited isles of the only U.S. state in Oceania, but the Hawaiian archipelago actually comprises some 136 islands, islets, atolls, and reefs. Polynesian, European, and Asian influences commingle in Hawaii’s culture, history, and cuisine, while its dramatic natural features – from a deep, varicolored “grand canyon” to the world’s largest sea mountain – were sculpted over eons by volcanoes. Get on island time while learning a traditional hula dance, “talking story” with locals, snorkeling with sea turtles, or simply slurping a shave ice on a black-sand beach. 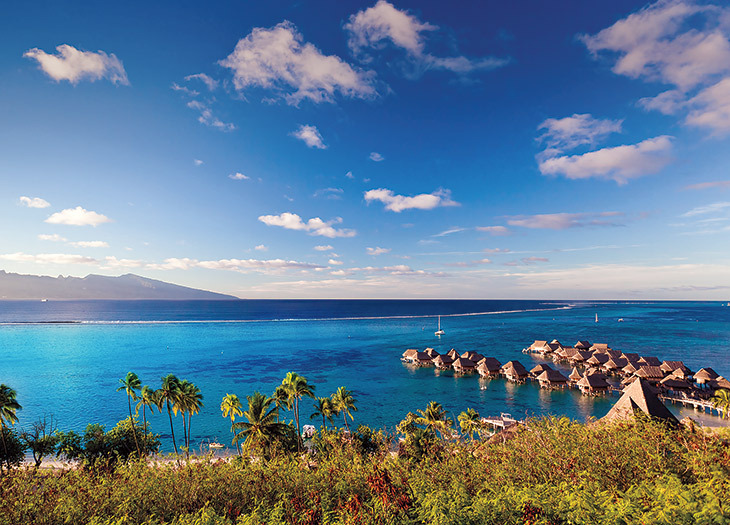 Twelve days of island-hopping with Tauck provide plenty of time to catch the aloha spirit. 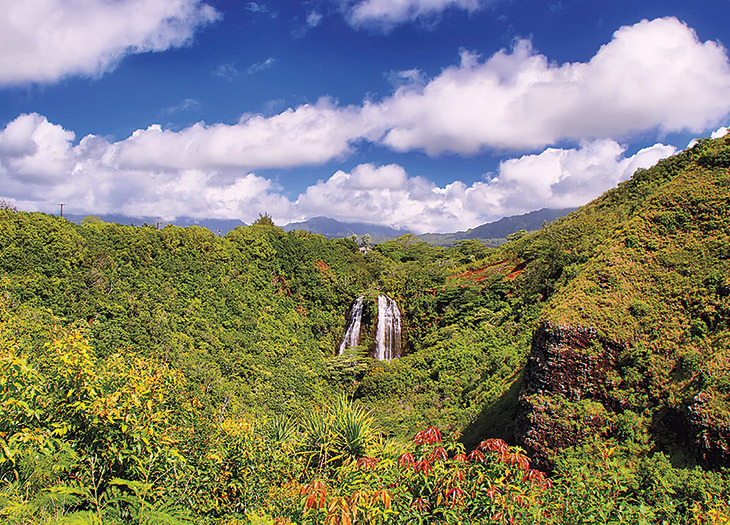 Take a guided outrigger canoe trip from Oahu’s Waikiki Beach, drink in Kauai’s Opaekaa Falls, and hike the Big Island’s Volcanoes National Park, which celebrates its centennial this year. Refuge of royalty – and Aldabra giant tortoises. A warm Creole culture and laid-back lifestyle lure visitors to the Seychelles, long a haven for such A-listers as Mr. and Mrs. Clooney and Britain’s royal family. Lolling in the Indian Ocean off the East African coast, the archipelago’s 115 clarion isles are dotted with translucent lagoons and emerald waters. 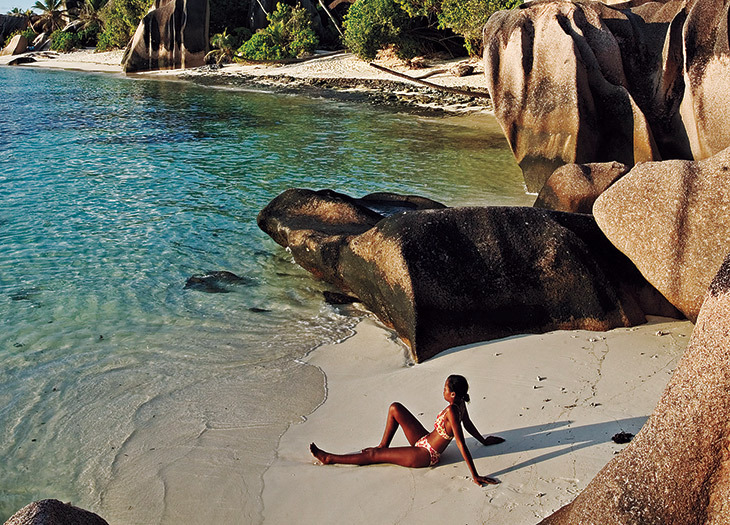 Gold-sand beaches backed by rain forests and waterfalls give the Seychelles its postcard image. Discover its flora and fauna at two UNESCO World Heritage sites, Praslin Island’s Vallée de Mai Nature Reserve and the Aldabra Atoll, located in the Seychelles’ outer islands and home to the world’s largest population of giant tortoises. Wander Vallée de Mai’s primeval forests in search of endemic coco-de-mer trees, tour local markets on mainland Mahe, and picnic on traditional Creole lunches while lounging on La Digue’s idyllic beaches – just a few highlights of a ten-day, tailor-made tour from Cox & Kings. Find a Virtuoso travel advisor here.